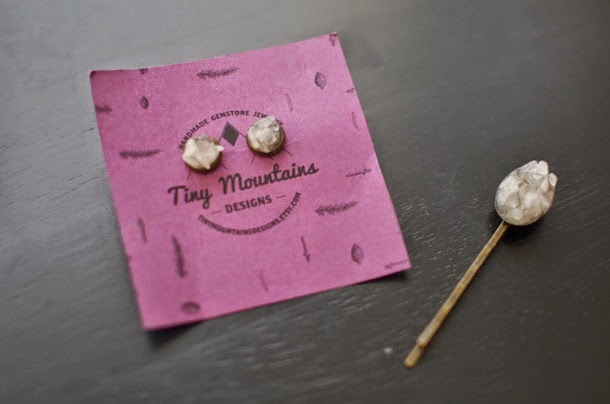 Don't forget, today is the last day to enter to win this pair of quartz earrings and matching bobby pin from the beautiful Etsy shop, Tiny Mountains. You have the rest of the day to enter using the Rafflecopter widget below, and make sure to check out my interview with Tatiana, the brilliant mind behind Tiny Mountains. Good luck! Idk how I missed this! Tiny Mountains make beautiful pieces! My favorite is the peach quartz necklace! 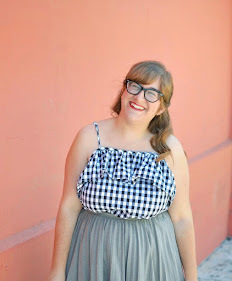 I love the peach quartz necklace and their earrings! Ah just missed the giveaway but congratulations to the winner! The earrings look so beautiful and I'm heading over to read the interview now!